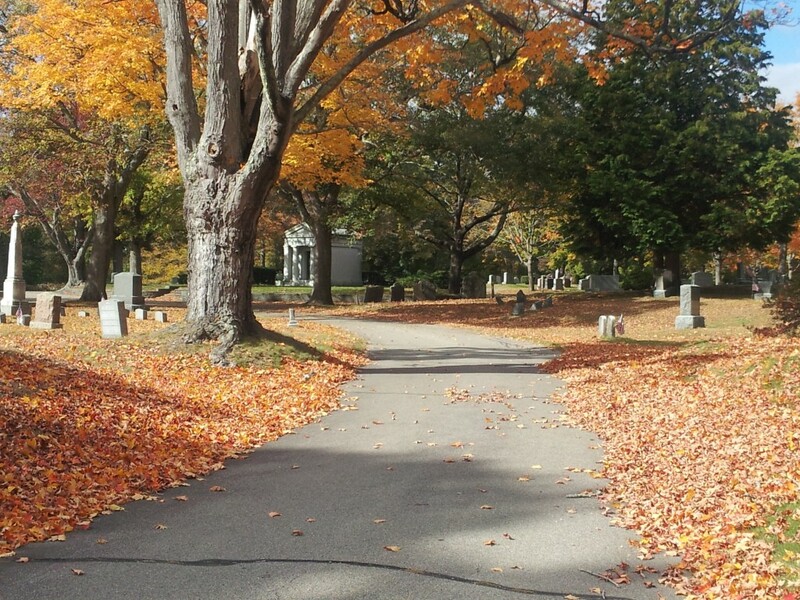 I was able to visit Massachusetts this weekend and if any of you are family history buffs, you will know that rarely does a trip not include a stroll through a cemetery. 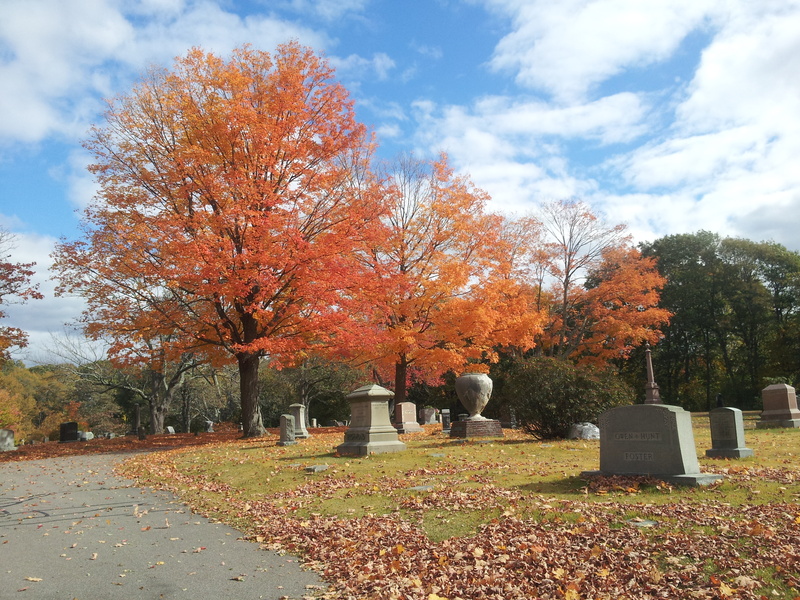 New England Cemeteries are gorgeous in the fall. Leaves cover the ground, trees light with color and old trees stand as they have for hundreds of years…well, at least they look as if they have. I have strolled through so many times. I have visited headstones more times than I can count, but that was years ago and before I started formally recording my family information. 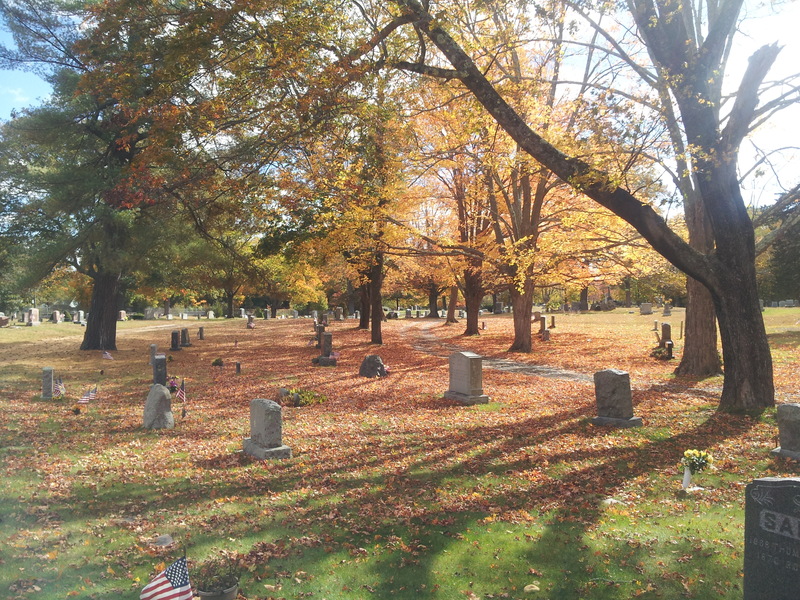 Now, armed with only a phone, I visited with the purpose of photographing what resting places I could find. I have only started my work in Cemeteries. Here, in Abington,Massachusetts, I know that my Maternal > Paternal line, Balentine/Whitman rest here. 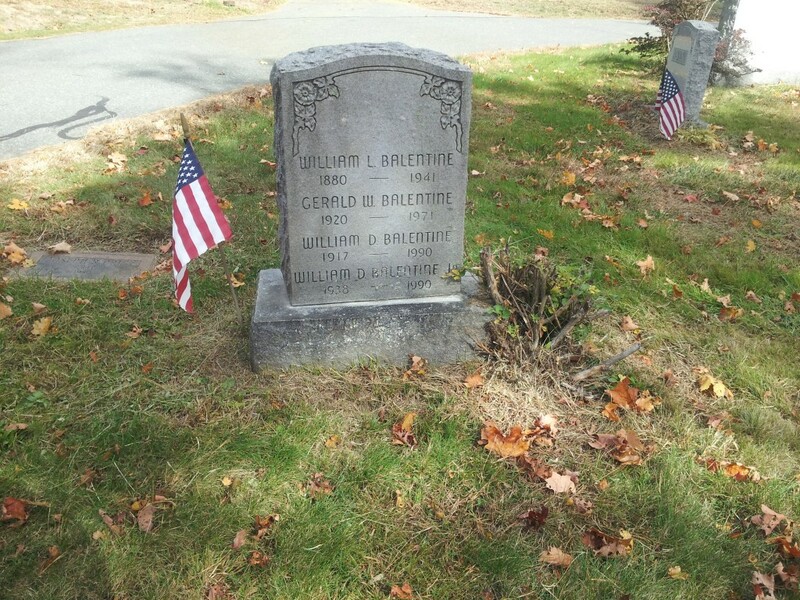 I come from William L. Balentine who passed in 1941. I found the Headstone of my Great Uncle Gilbert and his wife, which was nice. I didn’t know they were buried here. 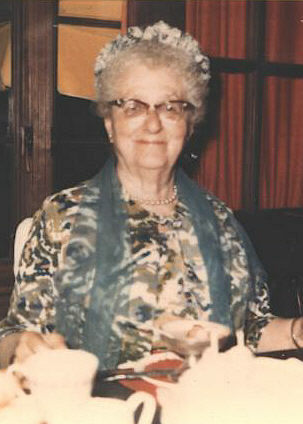 William’s wife, Laura Whitman Balentine, she died of TB as a young mother. 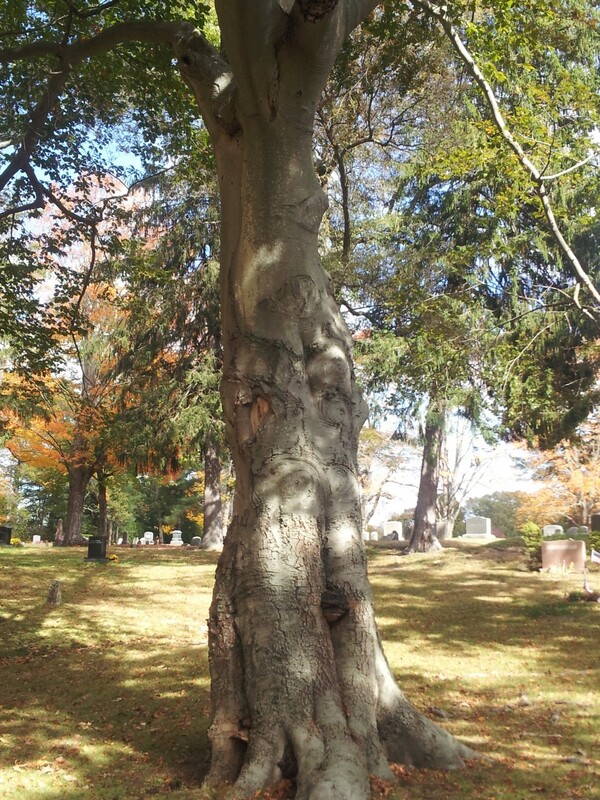 Verbal history states that there was no money for a gravesite, so her sister Blanch, married to a Wyatt, offered a spot in their plot.Interestingly, no one ever marked the spot and it has remained unmarked every since. 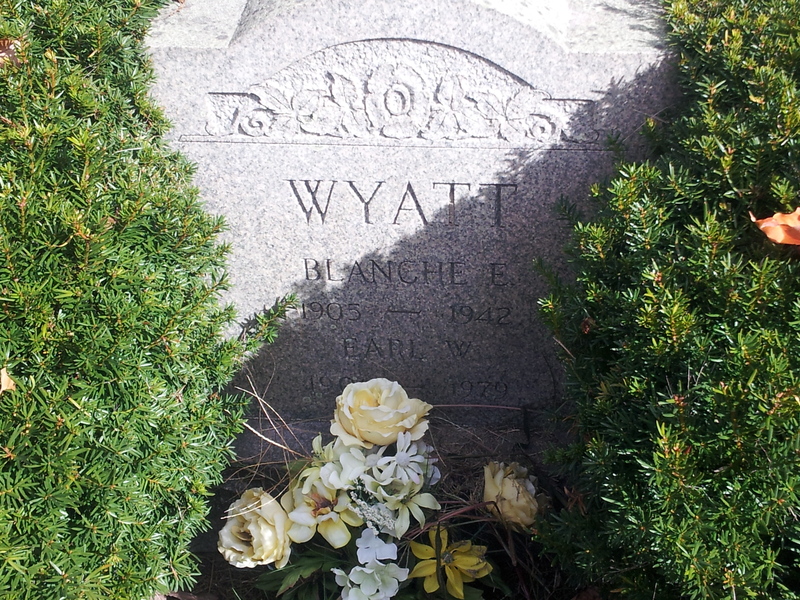 At near the other end of the cemetery, I did find the Wyatt section. 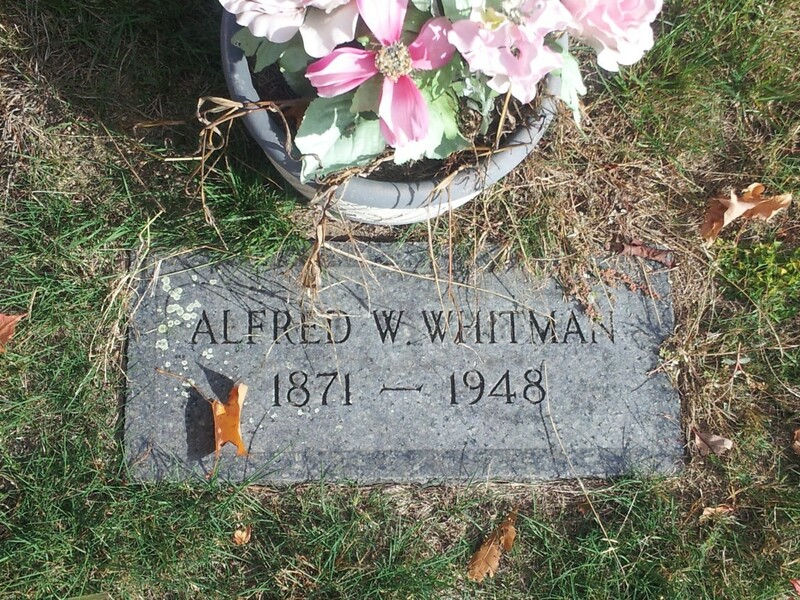 Laura’s father, Alfred Whitman was also buried in the Wyatt plot, originally unmarked.I was happy to see a ground stone now placed there. I wonder where Alfred’s wife Mary is buried. 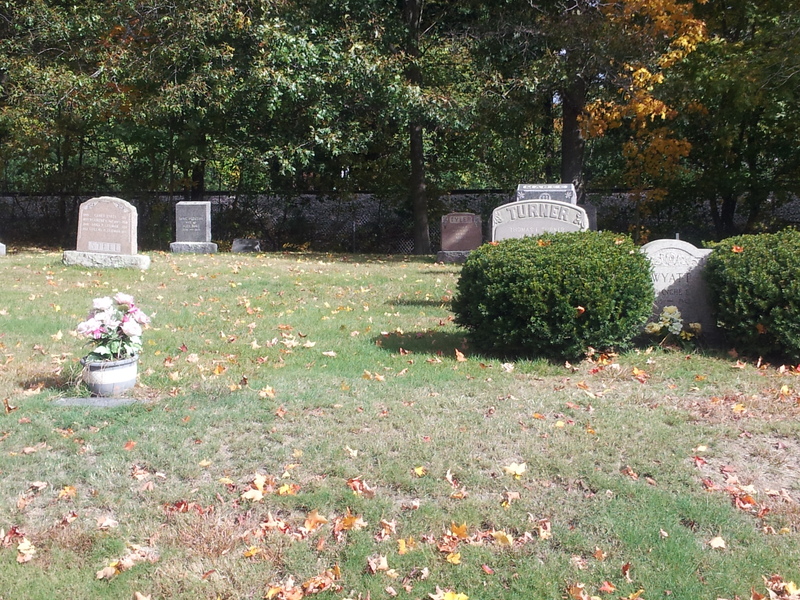 The Wyatt headstone is the one in the middle of the two bushes. Alfred rests where the flowers are sitting and Laura rests behind him. Verbal history tells us that there was a request to move Laura to join her husband. They were told that too many years had passed and such a move would be impossible. 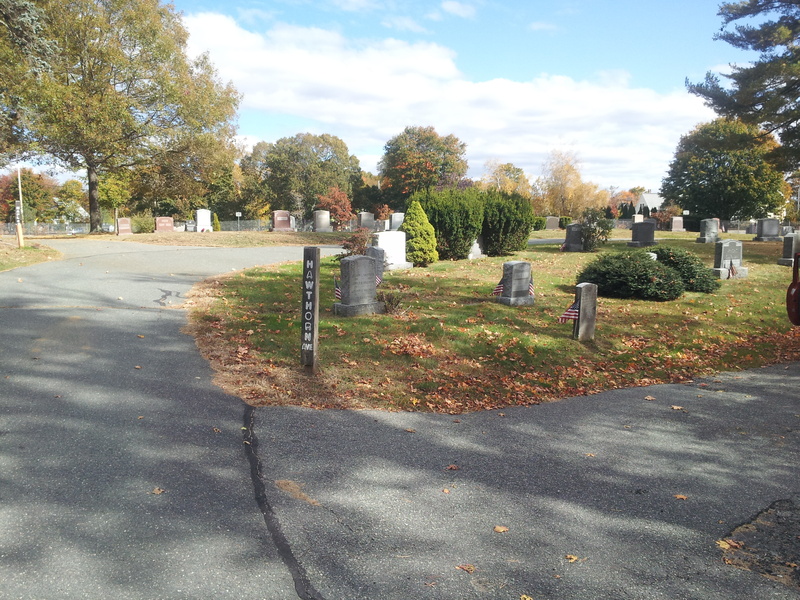 Still, no one marked Laura’s gravesite. At least her father is now marked and we know that Laura rests behind him. If you want to visit them, I took photos to help with directions. 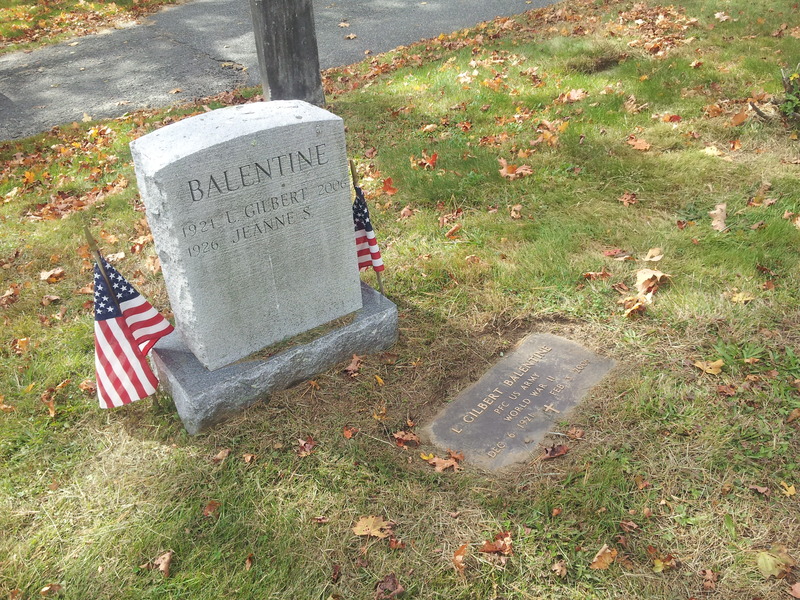 William Balentine and sons are buried at the Pearl Street end of the cemetery on a road entitled Hawthorn Rd. They rest immediately behind the Hawthorne sign. To help find the Wyatts, I stood in front of their plot, looked to my left and saw the large tomb building. I thought that a good landmark. So find that first and mimic this photo. Once what you see looks like this picture, you are standing in front of them. Alfred Whitman has a ground stone. Laura rests in the empty space immediately behind him. It’s nice to know she rests with her father. I do still wonder where her mother lays. And Laura needs a stone to mark her grave. Investigation continues.